With over 1500 customers in over 85+ countries using CitiXsys products and solutions, CitiXsys is the largest Software Solution Partner to the SAP Business One community. CitiXsys is the recipient of many awards from SAP including the SAP Pinnacle Award, a global recognition given by SAP to its most valued partners. CitiXsys received this award in the SME Global Innovation Partner category. CitiXsys has also received the ISV Partner Sales Excellence Award for Revenue and the ISV Solution Partner Quality Excellence Award by SAP America, Inc., a subsidiary of SAP AG. 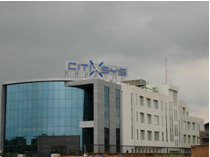 CitiXsys has its corporate headquarters in New York City, USA, an R&D center in New Delhi, India and offices in Chicago, Toronto, London, Mexico, Panama, Singapore, Sydney, Melbourne and Perth. We also have strategic alliances with SAP US, UK, Australia, India and a number of other technology partners for product development and related services. CitiXsys is a leading provider of software products in the Retail and Wholesale Distribution Supply Chain domain. CitiXsys provides a series of cross industry and industry-specific software solutions to help businesses meet their changing needs. The organization’s success is reflected in delivering solutions that offer security, reliability, availability and performance. CitiXsys also provides implementation, integration and customization services to its partners and customers worldwide. CitiXsys is a customer focused company with each employee motivated to assist customers at any time. 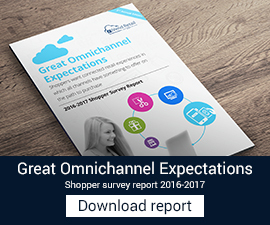 Many new initiatives are carried out each year to help customers better than before. Customer support is managed by Support Portal while E-learning course material are being developed constantly. A few senior consultants are fully engaged to create E-learning Lessons for all CitiXsys products. These lessons can be seen at https://knowledge.citixsys.com/elearning . With operations spread across the globe, CitiXsys is predominantly a channel driven organization taking its products & solutions to its customers through an effective and efficient network of channel partners. Hundreds of channel partners across the world have created successful practices around CitiXsys line of Integrated Solutions. CitiXsys has the strategic mix of world class products and an innovative channel management strategy. All products are developed, serviced and supported centrally where as these products are positioned to the end customers via the channel partners in different geographies. These channel partners are assisted for sales, pre-sales and consulting services from the on-site offices of CitiXsys which have sales and delivery capabilities. To further strengthen its channel strategy and to enable more and more SAP VARs to reap the benefits of creating a practice around CitiXsys Line of Integrated Solutions, CitiXsys has created an internal organization structure where every region will have a CitiXsys LPE (Local Product Expert) who will work very closely with the channel partners in his region to assist the partner in effective positioning and selling of CitiXsys Line of Integrated Solutions.